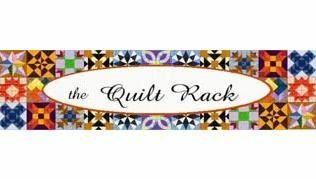 Our pattern company, the Quilt Rack Designs, offers you unique and innovative patterns and kits. We also offer you traditional patterns with our spin on the fabrics used. Our purpose is to share the love of quilting, fabrics and colour by offering you a full range of classes, from the traditional to the eclectic. Our creative and talented instructors help make classes informative and enjoyable. Take the challenge and join our $10.00 quilt, sign up for our Chapter Mystery or join our Doll Club. For $10.00 at the Quilt Rack, you can make 12 blocks for a quilt. There are a few rules - you must be on time, and have your square done each month. It is nice to go and have someone show me how to do a quilt square, especially since I never quilted before. It is fun! 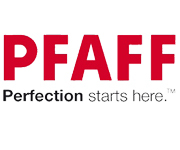 Very friendly staff, good classes, great selection of fabrics, and I feel like part of their little family! The freindliest shop in town always carrying quality supplies. 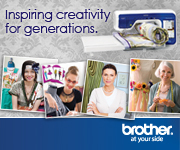 Whether you're looking for fabric, accessories or classes, you can find it all here. The owner and staff are all super!